From pocket waffles to bubble milkshakes, say goodbye to your diet and hello to happiness at the newly-opened, London Bubble Co. on FC Road. After a long, successful stint at Mumbai, London Bubble Co. finally makes its way to Pune and it looks nothing short of a quaint little European dessert parlour with arched glass doors, checkered floor, floral walls and vintage mirrors. The desserts are not only scrumptious, but we hear they’re 100% vegetarian. One of their bestsellers is the bubble waffle wrap, which is basically waffle with bubbly texture, served like a wrap. Flavour-wise, we recommend you try either the Kit-Kat or the London bubblegum wrap. Another dessert that’s absolutely worth mentioning is their decadent death by chocolate ‘waffwich’ or waffle sandwich. For more of a sugar overdose, get a drink, preferably the strawberry peach ice tea. 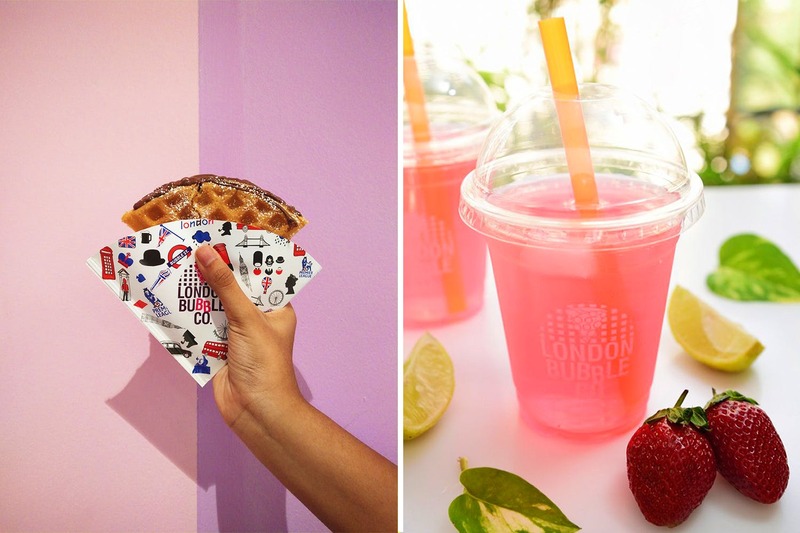 Head to London Bubble Co. for the love of waffles and all things sweet.